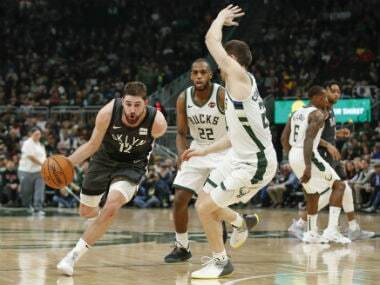 Los Angeles: Joe Harris sank the go-ahead three-pointer with 84 seconds left as the Brooklyn Nets' playoff push got a boost with a 133-128 win over the Milwaukee Bucks on Saturday. Brooklyn improved to 40-40 on the NBA season to move into a tie with the Orlando Magic for sixth place in the Eastern Conference standings. Detroit is a half game behind at 39-40. But the Nets have tiebreakers against both the Magic and the Pistons. D'Angelo Russell had 25 points and 10 assists, Caris LeVert scored 24 points and Jared Dudley collected 14 of his 16 points in the second half. 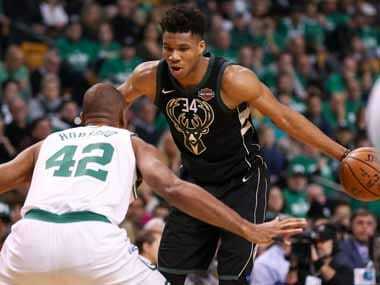 Milwaukee played without star Giannis Antetokounmpo, who was out with a left calf injury. 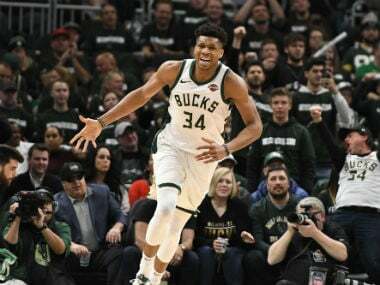 Milwaukee has already clinched the best record in the league with a win on the road over the Philadelphia 76ers two nights earlier. Bledsoe disagreed with those who have said the Bucks have little to play for, saying the team would love to reach the 60-victory mark. "We want to achieve it but at the same time we want to play the right way," he said. "I thought we did a great job of doing that tonight. "It was a big game for them. So we've just got to move on." Elsewhere, Joel Embiid dominated inside to score 20 points and 10 rebounds as Philadelphia returned to the winner's circle with a 116-96 victory over the Chicago Bulls. JJ Redick scored 23 points as Philadelphia snapped a three-game losing skid and widened the gap over Boston for the third seed in the East to two games with the win. The 76ers were missing guard Jimmy Butler who was out for the second straight game with a back injury. Embiid was making his second start after missing three straight with a sore left knee. He also had five assists and three blocked shots against the Bulls. 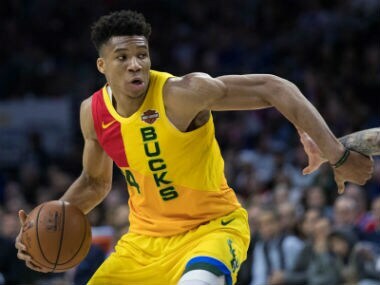 It was a much better performance than his first game back from the injury when he was outscored by fellow league MVP candidate Antetokounmpo of Milwaukee. Redick drained four three-pointers and Tobias Harris added 16 points as the 76ers took an eight-point halftime lead and then seized command with a third-quarter surge. Former 76er JaKarr Sampson scored a career-high 29 points for Chicago, who lost for the sixth time in seven games. 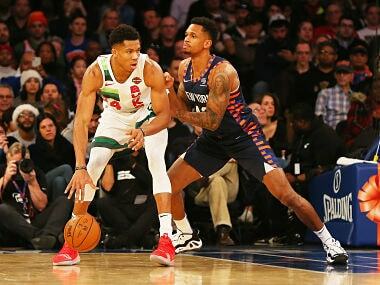 "It good to be back in the NBA," said Sampson, who had been toiling in the NBA's development league before the Bulls called him up.